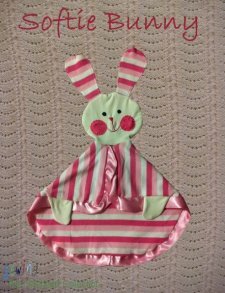 "I am a mom to my two year old daughter, and thanks to her, I have discovered my passion for sewing. 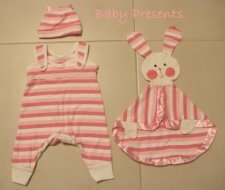 My biggest joy is sewing clothes (for my daughter and for myself). So far, most of my tutorials are clothes for toddlers, since this reflects my current needs. "Today I am going to share a project with you very close to my heart. When I was a little girl, I had this bunny softie I loved. My parents actually bought me 6 of them, because I would not go anywhere without it. The bunnies were a big part of my childhood, and accompanied me everywhere. 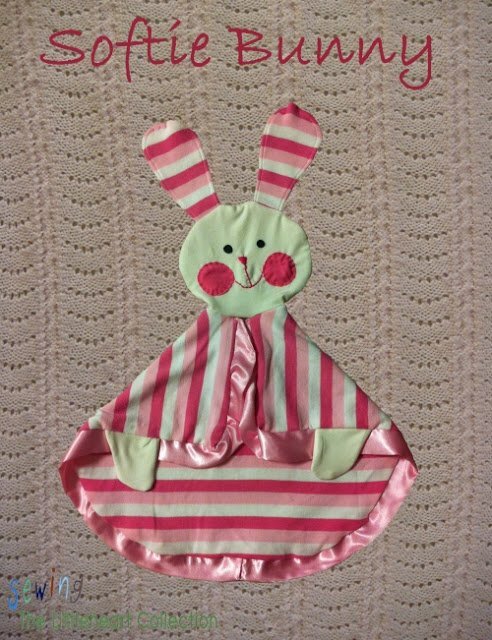 I have lots of pregnant friends at the moment, and decided I wanted to recreate the bunny, so I can make some presents, and perhaps give these new babies the same security, my bunnies gave me."